These MA companies are providing modular homes and buildings to Boston, Worcester, Springfield, Lowell, Cambridge, Brockton, New Bedford, Fall River, Lynn, Quincy and all other places in Massachusetts. For the most accurate pricing and home floorplan information please contact these Massachusetts modular home dealers directly. They can personalize the information based on your own unique building situation. You can click here to see a general sample of Massachusetts modular prices. Please remember that each home project is unique and has its own needs based on your home design, timeframe and location. Massachusetts (MA) Property Tax Notes : Property tax is handled by local government agencies. Looking for more than Massachusetts Modular Home Companies? We strive to provide the best resource in your search for Massachusetts state manufactured and modular homes. If there is a Massachusetts modular home builder not included in this directory please let us know. Our editors will be happy to research and include them. 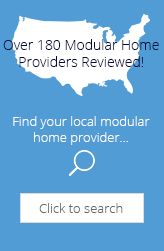 Modular Today is an independent reviewer of Massachusetts modular homes and buildings. All logos, trademarks and brand names that appear on ModularToday.com are the exclusive property of their respective owners and are not property of Modular Today. Our modular homes information is free and unbiased.